After graduating from the U.S. Military Academy, McDowell served with the 1st Artillery and then returned to the academy as the adjutant. During the Mexican War he was brevetted a captain for “gallant and meritorious conduct." From then until the outbreak of the Civil War, McDowell was employed in various staff duties in Washington, New York, and Texas, being promoted to brevet major on 31 March 1856. In 1861, at the urging of his close friend Secretary of the Treasury Salmon P. Chase, McDowell was promoted three grades to brigadier general in the Regular Army and assigned commander of the newly organized army at Washington. 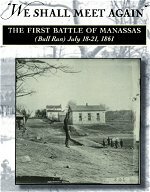 Although he requested more time to prepare his force, McDowell was ordered to advance immediately against the Confederate force at Manassas Junction. 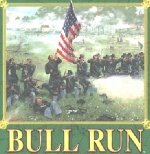 In the ensuing Battle of First Bull Run (21 July 1861), he dashed around the field, trying personally to encourage his men. 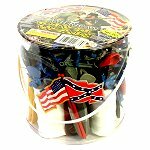 Although the morning phase of the battle saw the Confederates driven back, by afternoon the Southern forces had counterattacked and routed the Federal forces. 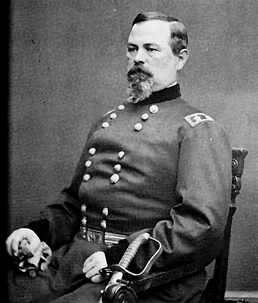 Northern officials and the public blamed McDowell for the defeat, and he was relieved of army command. Afterward appointed commander of a division, he was later promoted to major general of volunteers (14 March 1862) and assigned command of the I Corps, Army of the Potomac. Officials in Washington, fearing for the safety of the capital, retained McDowell's command, redesignated it the Army of the Rappahannock, and placed it along that river. Subsequently, McDowell's army was consolidated with troops in the Shenandoah Valley to create a force known as the Army of Virginia under Maj. Gen. John Pope. McDowell's command was redesignated the III Corps. 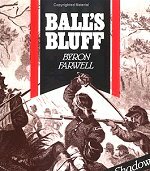 The defeat at First Bull Run continued to haunt McDowell, and his officers and enlisted men generally disliked him. When he was injured in a riding accident in the summer of 1862, it was said that a portion of his command gave three cheers “for the horse that threw General McDowell." 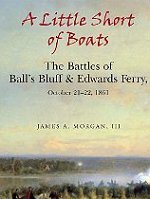 In the Battle of Second Bull Run (29–30 August 1862), the Army of Virginia was defeated and fell back into the defenses of Washington. Pope accused McDowell of not fully supporting him during the campaign, and McDowell was relieved of command. 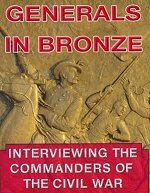 Although a court of inquiry found nothing to warrant a court-martial, a strong prejudice remained against McDowell in the public mind, and he held no further field command during the war. After commanding various military departments to 1882, McDowell retired from the service, with the rank of major general in the Regular Army. Irvin McDowell was a career American army officer, famous for his defeat during the First Battle of Bull Run, the first large-scale battle of the Civil War. McDowell was promoted to brigadier general in the regular army on May 14, 1861, and given command of the Army of Northeastern Virginia, despite never having commanded troops in combat.